Start saving for retirement with a participating annuity contract. 1. What Investments Are Allowed in a 403B? 2. What Is a Two-Tier Annuity? Participating annuity contracts allow a retirement plan sponsor to share in the account's earnings and savings on expenses. This type of investment plan reduces the risk for both employers and employees: The employer can rely on the insurance company to handle its benefit payments, and the employees know they have guaranteed retirement benefits from the annuity. The plan can be set up to cover an employee for a specified time frame or for the remainder of his life. Annuities transfer the financial responsibility to fund employee pensions from an employer to an insurance company. This creates an irrevocable contract to provide a defined set of benefits to employees and their beneficiaries. The plan sponsor pays a premium to the insurance company in exchange for the assumption of obligations. Because of the complexity of the benefits involved, most participating annuity contracts are individually negotiated between the employer and the insurer. Insurance companies offer different features on their participating annuity contracts, such as death benefits or reduced surrender charges. Your plan may also allow you to choose from fixed, variable or indexed annuities for your investments. Fixed annuities guarantee a certain amount of interest, but they also typically have a maximum earnings cap. Variable annuities invest in insurance company subaccounts that are similar to mutual funds. These accounts have the potential to earn more than a comparable fixed annuity. The interest rate on an indexed annuity is tied to an index such as the federal prime rate. 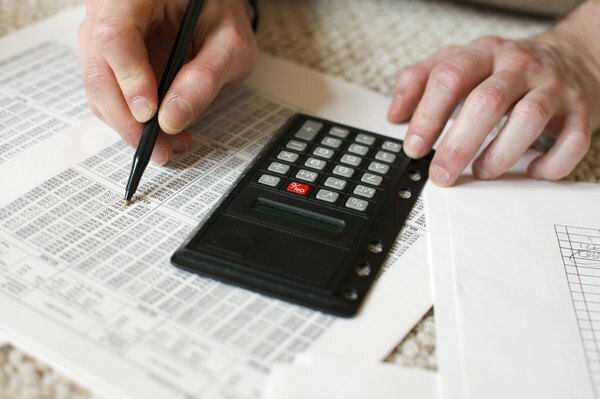 Like all annuities, participating annuity contracts offer the account holder tax-deferred earnings and capital gains. Participating annuity contracts also allow the employer sponsoring the retirement plan to benefit when the investments perform well. The insurance company pays dividends to the plan sponsor based on the contract's performance. Dividend payments increase along with inflation. It can be hard for your retirement portfolio to keep up with inflation solely by relying on investment earnings from nonparticipating annuities. To offset the cost of paying dividends to the plan sponsor, participating annuity contracts charge higher premiums than nonparticipating annuities. You may also be subject to surrender charges if you need to withdraw funds before retirement. If you choose a variable annuity, you face the possibility of losing part of your original deposit and may be required to pay investment management fees that further reduce your portfolio's overall performance. The Internal Revenue Service requires certain certifications to protect plan participants from losing funds if the plan sponsor or insurance company goes out of business before completing the required payments on the annuity contract. The insurer must certify that participants have the same right to its assets as holders of traditional annuities. The certification must also state that the insurer's obligation to the plan's beneficiaries is irrevocable and is not affected by the performance of the annuity's investments or the funds available to pay.